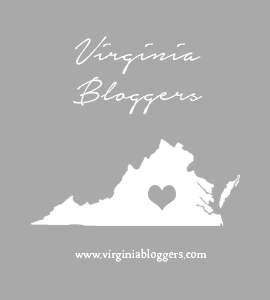 Megan Marconyak is a writer, editor, blogger, influencer and marketing professional in Richmond, Virginia. She was recently featured as a Style and Living Guru in the Richmond Times-Dispatch. An established lifestyle expert, Megan launched Marco Style to share her greatest discoveries with her readers. Megan is a former fashion editor, photo shoot stylist, and personal shopper. She has an eye for style and a passion for sleuthing out distinctive pieces. On Marco Style, she lets her readers know when to splurge and when to save while always looking their best. She covers boutiques in Richmond, Virginia, national trends, distinctive designers, sales to know about, and even answers readers’ shopping questions. She’s also always testing new beauty products and sharing the most effective products and solutions. From weekend getaways to exotic vacations, Megan’s always planning her next getaway. She shares restaurant recommendations, unique things to do, where to stay, and where to shop. Know you’re never missing out when you venture to a new destination. Having spent over 10 years as a professional food writer and editor, as well as a marketing manager and copywriter in the food industry, Megan knows good food. She tells you the best things to eat Richmond area restaurants. She also seeks out the best dishes at destinations across the country. From food vendors to entertaining ideas, there’s always a new flavor to learn about. Of course, all those gourmet goods call for libations to accompany them. Megan shares cocktail recipes, wine recommendations, features about different liquors to try, as well as recommendations for coffee shops and cafes. Want to work with Marco Style? Contact Megan for information about sponsored blog and social media posts, copywriting, editing, photo styling, or marketing consulting for your lifestyle brand.